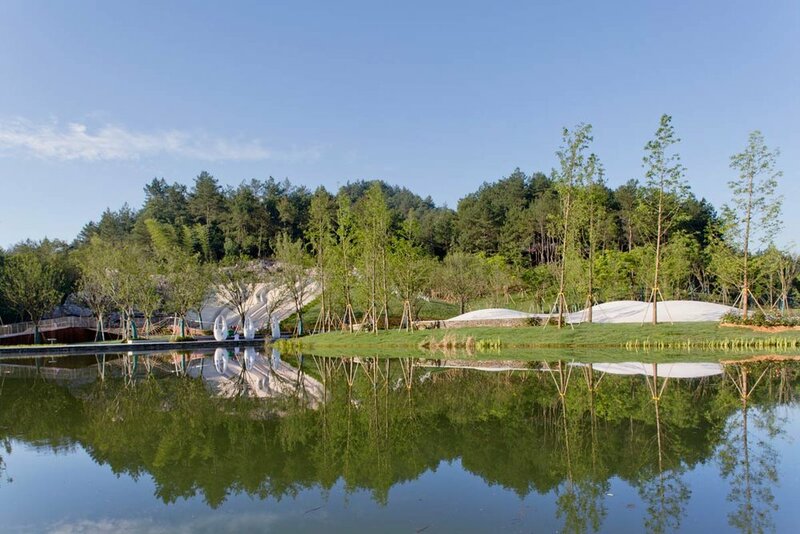 Z+T Studio: Marvel Valley is an upgrading landscape design project located in Anji County of Huzhou in Zhejiang Province, China. 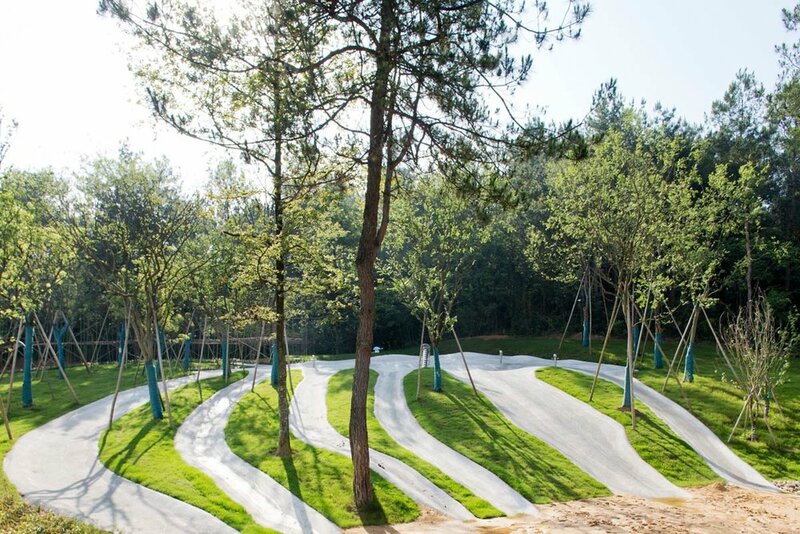 Marvel Valley as one of the pieces of Greentown was decided as a place for children’s outdoor activities. Greentown’s overall environment is different from many urban parks and community parks. The valley provides the project site with an unusual scale and a different external environment from the city. 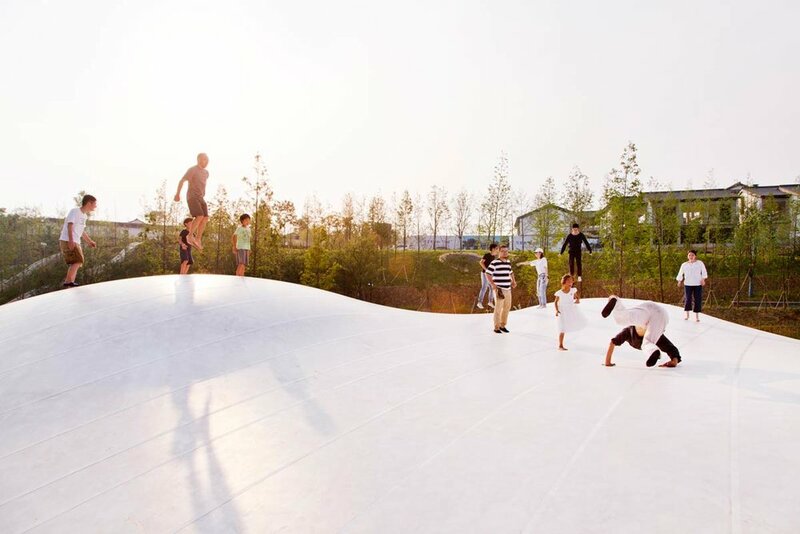 The children’s playground located in the valley is designed with natural texture and context. 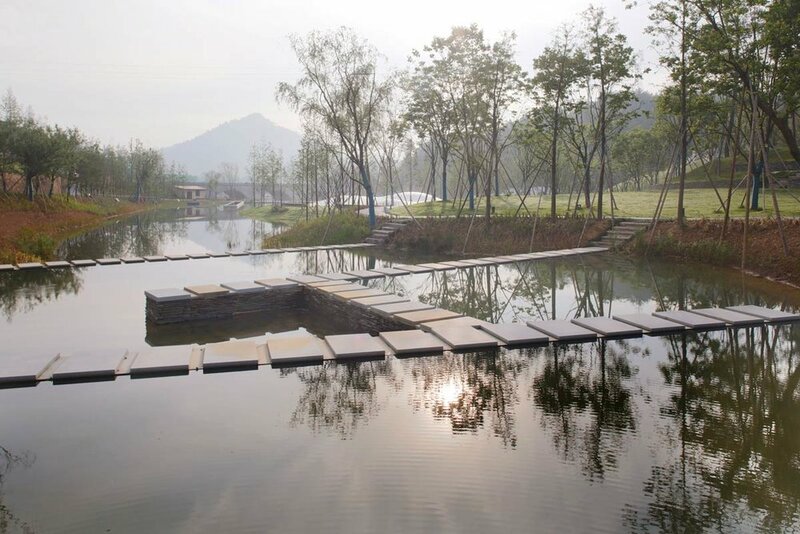 Marvel Valley has four structural zones: Entrance with sloping fields, Hillside space with lawn, Basin surrounded by hills and Lakeside space. 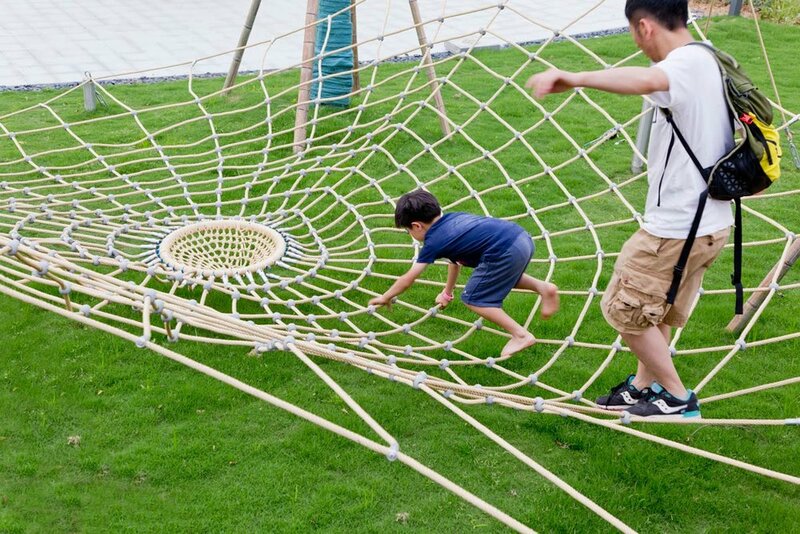 A series of activities are formed around the four zone: the swing on the big ring, four-way seesaw, enlarged honeycomb, ants caves, the slides of different steep, the cobweb shaped crawl web, the jellyfish shaped play pool, jumping clouds, the whale teeth observation tunnel in the lake… Each space have different shape depends on their respective landscape elements. From the entrance platform into the site, people could overlook the valley on the slope fields covered with cherry trees. Visitors can go through the steel bridge upon the “whale tail” wetland into the forest swing defined by a 18-meters diameter steel ring. 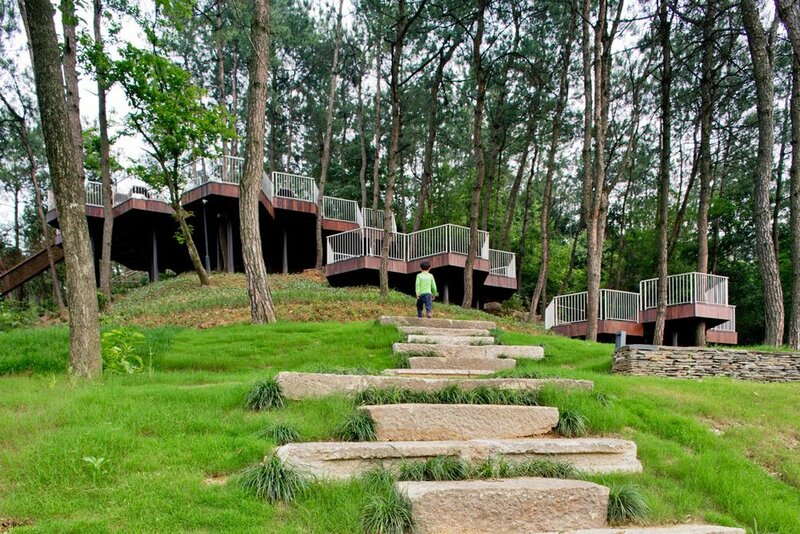 The lawn and platform formed a different sense of space compared with forest space. The mountain and the lake help to define the site respectively. Client: GREENTOWN REAL ESTATE GROUP COMPANY LTD.